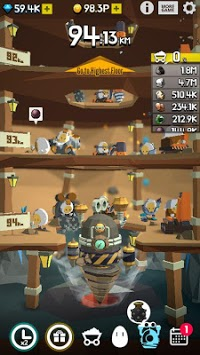 Mine diverse gems and minerals with a powerful excavator and cute miners. Rarest gems are found only in the deepest part of the earth so dig as deep as possible. - No control required. Digging and mining are done automatically! - Uranium, nickel, copper, coal, iron ore and other minerals can be collected. 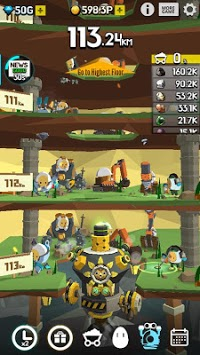 - You must upgrade your excavator to get deep into the earth. 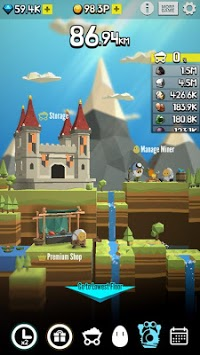 - Capable miners can mine more minerals than others. - There are various surprise events! - You can earn Coins even while you're offline. - Achievement & Leaderboard supported. - This is an offline game that does not require Data or WiFi connection. - Improved stability and performance.